Is your business listening social media? Can you track all social media complaints or brand mentions about your company? Listen to your customers better and serve them on a higher level with the social media monitoring feature of Mi4biz! In the digital world, social media is an essential channel for your brand. With the sharing culture your customers may talk about your brand, your products or services. They may comment, tweet or post on your social media channels or they may mention your brand. Social media becomes more than building brand awareness. However, social media monitoring is a key for listening to what your audience has to say about your company, your products, and anything else relevant to your business. Beyond all of these, it is used to have an effective social media complaint management strategy to improve customer experience and increase customer satisfaction. Moreover, social media is a fully integrated communication channel to listen and respond to customer complaints and requests in Mi4biz. You can use social media monitoring feature to track what is being said online about your company with or without hashtags! How to use social media monitoring feature of Mi4biz? The social media monitoring feature of Mi4biz gives you a single interface to track all the social media covers multiple social networks including Twitter, Instagram, etc. In other words, “a single window to monitor all social media”. Manage all from one simple dashboard. You can post a message or listen all by the easy-to-use management solution. What are the benefits of the social media monitoring inside Mi4biz? 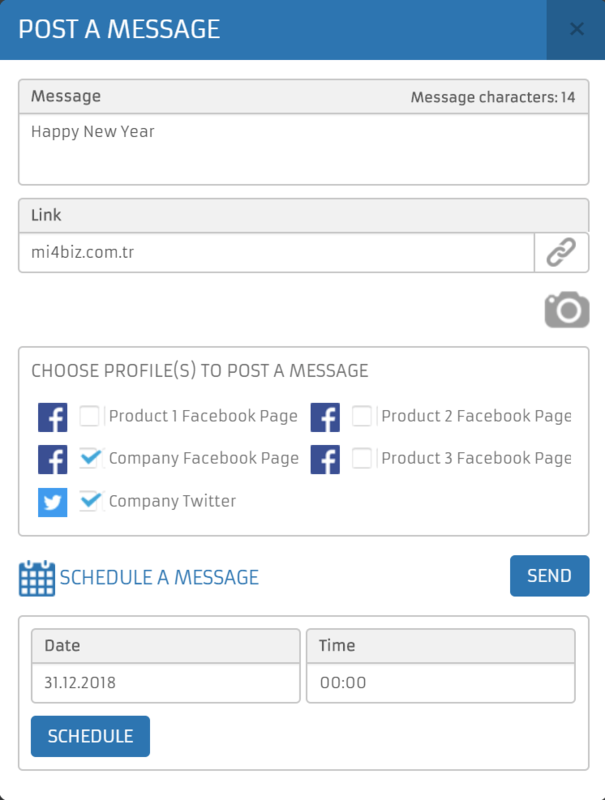 Listen mentions, hashtags and keywords or schedule your own searches to capture issues, apply similarity analysis and initiate corresponding workflow by the social media monitoring feature of Mi4biz. So you can be always one step ahead. Engage your customers with the right message for the right time! Mi4biz allows you to schedule a post to publish in the future date/time. Everything is in one place from post scheduling to social listening and reporting. Manage multiple profiles in a single platform. Automate and schedule social media posts. Save and reuse social media IDs of your known customers. Respond to complaints and inquiries or convert them into issues and forward to related workflow. Define your own searches. Mi4biz will discover issues from your defined searches. Set alarms for critical content. Measure your social team performance. Find useful insights and connect with your target audience. Get a high-level overview of your brand’s engagement on social media. Leveraging social media complaint management to improve customer experience. Generate business leads and sales. 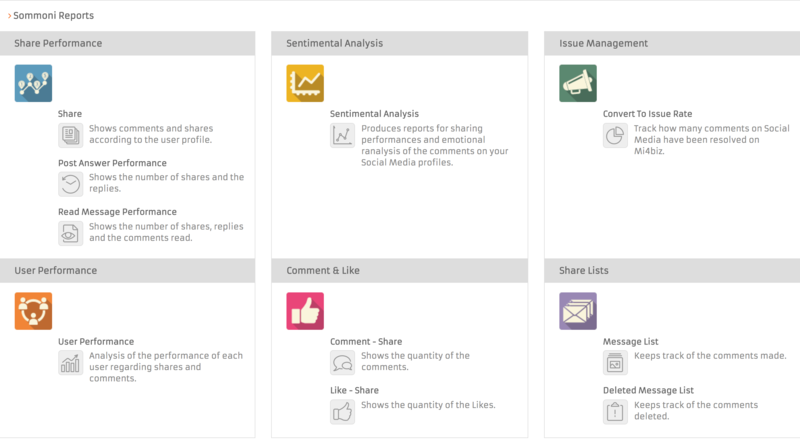 Monitor and manage the social media conversations with the social media monitoring feature of Mi4biz. To learn more about the Mi4biz and the features, contact us.